Turning off lights is as important as ever in this ever changing environment, which is why this fantastic light switch sticker is so important, yet still magnificently fun! 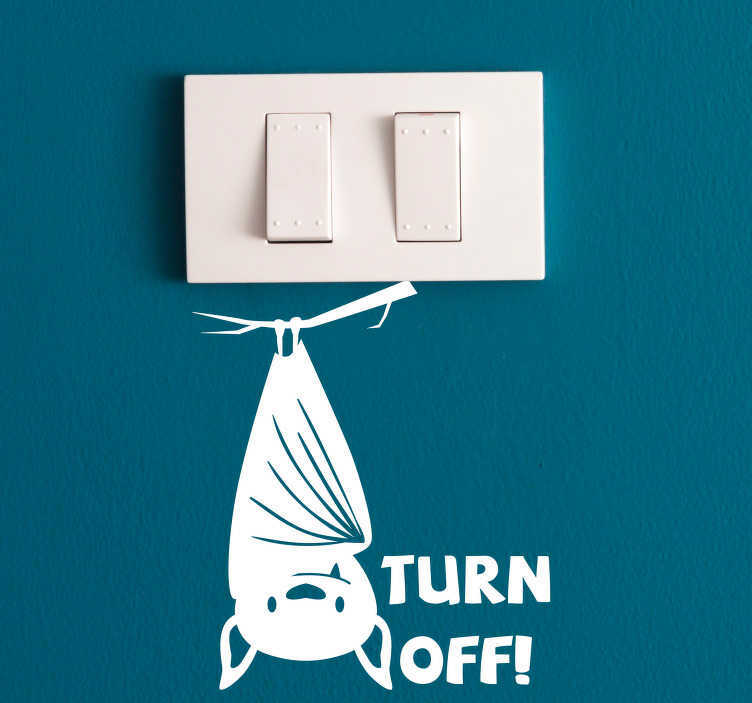 It depicts a bat, looking resplendent, hanging down from the light switch, with the words ´Turn off´ next to it. Choose your size, choose your colour and buy this superbly useful light switch sticker now!